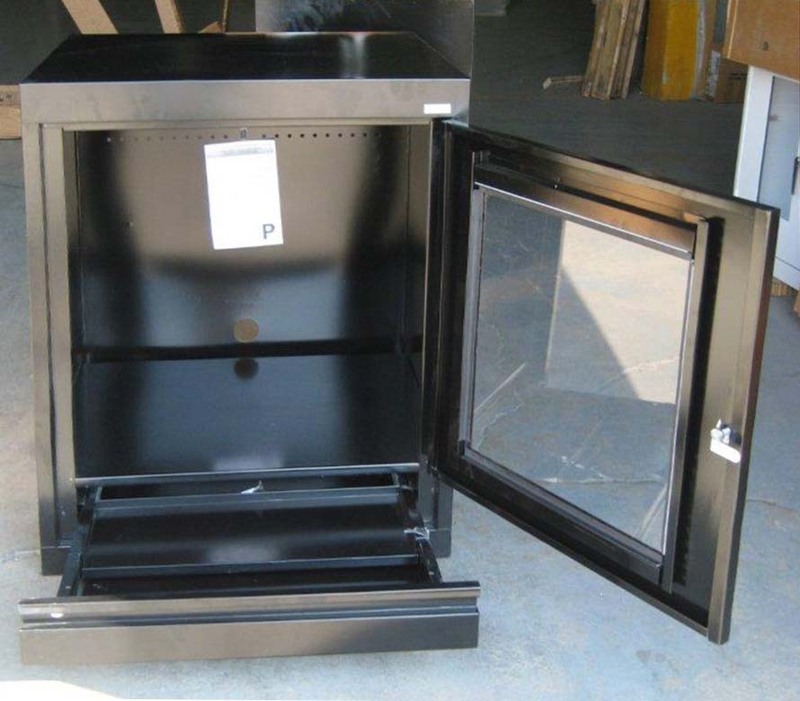 These Flammable Storage Cabinet are available on www.buyusedlockers.com where they have a huge selection to choose from if we need additional supplies. 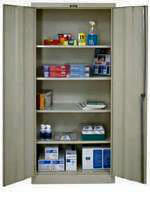 Brand new Flammable Storage Cabinets in stock and available for immediate shipment. These have a 30 gallon capacity and are ready to securely store all your flammable materials and products. Each is 43" wide x 18" deep x 44" high, includes 1 full width shelf that is fully adjustable on 2-1/2" centers, and has 2" capped vents with flash arrestors for external exhaust. Features all welded double walls; 14 gauge outside & 18 gauge inside. The 2" leak proof door sill contains any potential spills. Each has adjustable leveling feet and 4" heavy duty welded hinges with brass pins. The construction of these meets NFPA Code 30 and OSHA Standard 1910.106 for storage of Class I and II Liquids. Available with regular or self-closing doors in yellow with large red flammable writing on door.